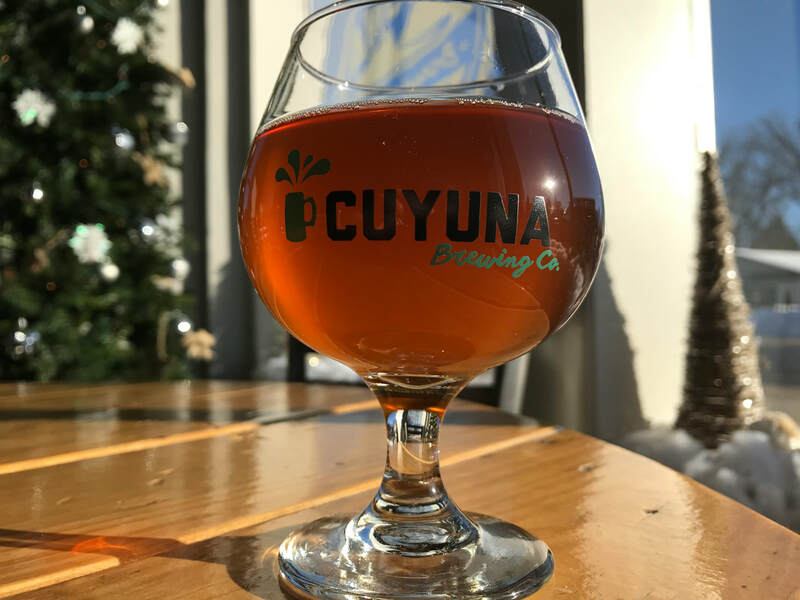 Beer - Cuyuna Brewing Co.
We hope to have some type of cider on tap through the summer. Currently we have two on tap, while supplies last. Just outside Roseland, MN there sits a little hobby farm that has been in Nick’s family for five generations. His Uncle Tim currently homesteads there and he looks after the small orchard. It has always been family tradition to gather in the fall to hand pick and hand press enough apples to create cider and other various apple treats. On one such occasion many years ago Nick decided he was going to use the cider we pressed that year to create his own hard cider. This would be his first attempt at any kind of fermentation. It wasn’t that successful. Thankfully a decade later this isn’t the case. Now this year much of the crop was harvested with our cider creations in mind. We’re proud of the fact that this cider is rooted in MN history and family traditions. Farm to table at it’s finest! Named after Nick’s uncle who provided the apples - this cider has been aged on oak and has subtle undertones of vanilla and maple syrup which were added after fermentation. Full of flavor, slightly dry, and very delicious. We fermented apple cider and mead (honey wine) with a Riesling yeast to bring you this gem of nature. After fermentation, we sweetened it up with more honey and added hibiscus tea. Sweeter in flavor with a pronounced mead taste and tartness from the hibiscus. So good. Flagship Beers - If it isn't currently on tap it is coming back! Read about our seven flagship beers below. This amber ale is smooth and malty with low hop bitterness. A hint of roast from the grain that colors your new favorite beer. The Yawkey trails made Cuyuna an overnight mountain bike success with the downhill “scream for joy” flow of Bob Sled and the technical “don’t-look-down” terrain of Timber Shaft. However, that’s just half of what makes Yawkey unmatched. Tom Yawkey owned both the Yawkey Mine and the Boston Red Sox. He and his wife, Jean, reconstructed Fenway Park and made the Boston Red Sox thrive. We’re not kidding—you can’t make up stories this good. From the hallowed halls of Fenway Park to the red dirt trails of Cuyuna, we salute the Yawkeys with the naming of our flagship amber ale. Much like the Red Sox, Yawkey ain’t no typical red beer, nor typical place. Expect all those malty, earthy flavors to hit it out of the park and you’ll know you truly have a historic pint in your hand. Here’s to an amazing story, an amazing place, and getting your socks red every time you shred Cuyuna’s red. Centennial hops for bittering, Cascade for aroma and Citra for flavor. This is a sweet and citrusy IPA. In Cuyuna's industrial past, gigantic machines called crushers turned bedrock boulders into usable material for America's iron industry. When something’s been through the crusher, you know it. One of Cuyuna’s famous mountain bike trails is also named Crusher. When cyclists ride up Crusher, they know it. Our Crusher IPA is made with Citra hops which gives this IPA a distinct flavor and aroma. ​When you taste the Crusher, you’ll know it. What we love about a Ranger is they are brilliant in clarity. Meaning, if a Ranger is thinking something, you’ll know it. We don’t get too flowery in language and prefer to speak directly. As we created a name for our Strong Bitter (ESB), Ranger Strong was an undeniable match for its characteristics that embody not only our beer, but our people. Here’s to being who we are. Here’s to welcoming new people, new stories, and making new history, together. Here’s to a strong community, united. This Festbier is in the style of the lagers served in Germany during Oktoberfest. It has German Pilsner barley and German Hallertau hops. It is a top seller in our taproom and we're sure you'll understand why when you taste it! The legend of the Silver Dollar inspired our golden Festbier, which has the initial appearance of a light beer, but—wait for it—it’s been known to pack a punch. Silver Dollar Lager is bright and clear and, better yet, it’s also highly drinkable and smooth. It’s the perfect way to celebrate the conclusion of an outdoor adventure or just another day at the office. Here’s to staying light on your feet and always having a reason to dance. Manhigh is a sweet oatmeal stout with a hint of smoke. Not overpowering but very complex. We use seven different grains in this creamy and drinkable stout. In 1957, astronaut David Simons set a record of high-altitude balloon flight by rising more than 100,000 feet above Cuyuna. Called “Project Manhigh,” the balloon and capsule launched out of the Portsmouth Mine in Crosby. The Manhigh II space experiment was the precursor to what would eventually become NASA. Think about it. Nineteen miles—101,516 feet—above earth. Pretty black, pretty overwhelming, and pretty darn close to being out of this world. Here’s hoping you have a similar experience with each sip of our Manhigh Stout. We salute you, space pioneers. Godspeed. Hair-Force One Blonde is a Belgian style blonde ale. Light in color with low hop bitterness and aroma. It has clove, vanilla and orange undertones. This is beer was named by Hair-Force One salon in Brainerd, Minnesota through our crowdfunding campaign. It is a great salon and we are thankful for their support. This beer will be the backbone for our beer cocktails including our Strawberry Beer-Mosa (strawberry and blood orange puree, orange juice and Hair-Force One Blonde). Jacobs Realty Radlermass is a Bavarian Hefeweizen beer which literally means “yeast wheat” in German. Then we add lemon, ginger and sweeten it up to create a refreshing low alcohol beverage. Jacobs Realty Radlermass is another named beer from our crowd funding campaign. Thank you to Vern Lewis from Jacobs Realty for your support! The story behind the Radlermass is great for our area. “After World War I, bicycle riding became popular in Germany. A local innkeeper opened his own watering hole and arranged for a bike trail through Munich to his alpine meadow, only to find some 13,000 cyclists had descended upon his establishment and almost depleted him of his fine beer. 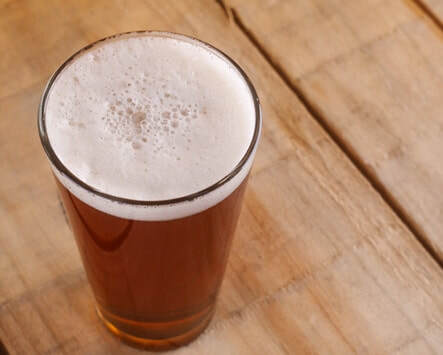 Quick thinking led him to mix a stock of lemon soda with his remaining beer and he called it Radlermass (Radler meaning 'cyclist' and Mass means 'liter' of beer in German), which became a wonderful refreshing summer drink” (German Beer Institute). We are very excited to add this refreshing beer to our line-up! Brewed with Mosaic hops and real blueberries. A slightly hoppy wheat ale with subtle blueberry flavor and aroma. The perfect balance of beer and fruit. A strong malty backbone and a rich layer of foam blend with generous amounts of Simcoe, Centennial, Cascade, and Chinook hops. The Isle of Pines IPA is sure to satisfy. ​One of three islands on Bay Lake, Isle of Pines (aka Malkerson Island) was purchased from Cuyler Adams in the early 1900s by Frank Gold. The property later passed to Frank’s daughter and her husband Lester and Betty Malkerson. The family named the property 'Isle of Pines' after the 100’ tall pine trees that covered the island. Many of the trees were lost to a tornado in the 1970’s but some still remain as sentinels to a magnificent sample of our local history! This Rauchbeir (Smoked Beer) is a Marzen Style Lager. Twenty percent of the grain has been smoked making this the perfect fall beer! This beer was a collaboration with homebrewer Dave Matson. 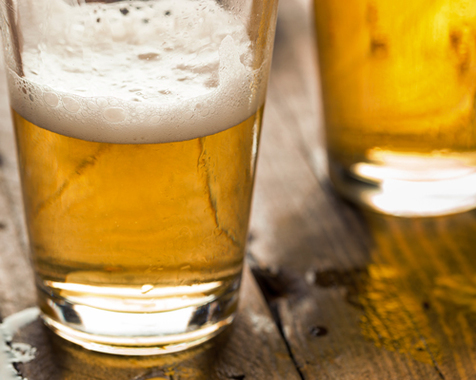 Dave’s beer has won many homebrew competitions and Dave’s Lakeside Campfire is no exception. Thank you Dave for the Recipe and for brewing this batch of beer with me! This high alcohol Belgian Quadruple is dark brown with garnet hues, fruity with a malty sweetness. It has dried cherry, fig and caramel undertones with slight oak and bourbon characteristics from the aging process. Rumor has it that during the prohibition there was a tunnel from the Spalding House Hotel to the Young Building (our brewery building) and evidence of this tunnel can still be seen in our basement! Patrons could use the tunnel to smuggle alcohol into the hotel or to come to the basement of the Young Building to drink without the danger of a raid. We have paid respects to this legend by creating a legend of our own: Bootlegger Bourbon Barrel Quad! It started with Kustaf, Kustaf Hautala, my grandfather. He left his motherland in Europe to find a better future for himself, for his family. And as his name might suggest, he was Finnish, according to his bold travel plans, the original Flying Finn, but from his era, a boat. Kustaf came to America to do better for himself, for his family, for his name, for my name. And, as a side note, over the cold Minnesota Mesabi Iron Range winters, ol’ Kustaf would take a sauna so hot, the water thrown towards the sauna stove would evaporate mid-air before hitting the rocks. Kustaf, was world class. And what I love about Kustaf, and sauna, is simple. There’s no judging, no ranking, no anything in the sauna. Only people, only relationship, only us. In Finland they say, in sauna, there is no talk about business, politics, or religion. In Sauna, the only thing that matters is you, I, and real. Real life. Tell me about that, will you? 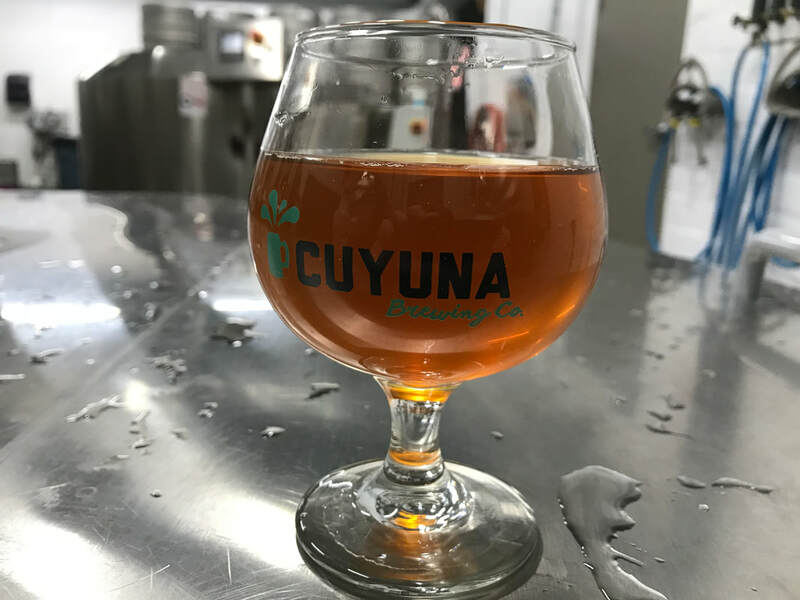 In this mantra, I, the grandson of Kustaf Hautala, and in partnership with the Cuyuna Brewing Company offer you this drink, this beer, The Flying Finn. May we care about one another. May we seek to build relationship first, and worry about everything second. Today, is the day to live. Today, is the time to fly. Sip deep. Dream big. Deliver bold. Flying Finn. "Uncle Doug's Cornish Stout" is a recipe from my uncle, Doug Williams. It is a dry Irish stout with a large amount of biscuit malt. Dark, smooth and drinkable. My Great Great-Grandfather, William Henry Williams, was a Cornish miner before he immigrated to the states to start farming in 1882. The Cornish men were considered the best miners in the world back in the 1800's and traveled all over to share their expertise of underground mining. There were Cornishmen that came to the Cuyuna range to be the team captains when underground mining was first used to mine the Iron ore. Once the open pits started they were not needed anymore. Thank you Doug for the recipe and the story behind the beer!